Sea Cloud Cruises is offering a choice of two Easter voyages in 2013 aboard its stylish windjammer yachts, Sea Cloud and Sea Cloud II. Experience volcanoes, pristine beaches and idyllic anchorages in the Caribbean Sea with a round-trip voyage from Bridgetown, Barbados aboard the legendary Sea Cloud – a beautifully restored yacht accommodating just 64 guests. 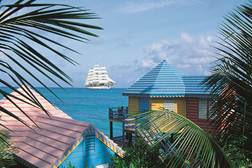 From 28 March to 4 April 2013, Sea Cloud will call at islands such as Bequia; Union Island in the Grenadines; Domenica; Îles des Saintes, and St Lucia. Guests will visit a turtle sanctuary; snorkel and swim in the Tobago Cays; walk in Cabrits National Park; enjoy a Creole cookery lesson, and visit Soufrière's botanical gardens and volcanic sulphur springs. 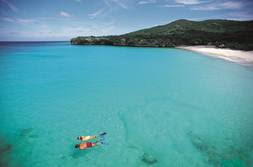 Fares for the 8 day/ 7 night cruise start from AUD$3615* per person, double occupancy. Solo sailors can save over AUD$1,700 per person for the 8 day/ 7 night cruise with fares starting from just AUD$3876* per person, for a guaranteed single cabin, a saving of over AUD$1,700 per person. Alternatively, explore the many charms of Cuba aboard the luxurious 94-guest Sea Cloud II. An 11 day/ 10 night voyage will depart Havana, Cuba on 27 March 2013, arriving in Santo Domingo, Dominican Republic on 6 April 2013. Ports of call will include the Cuban destinations of Maria la Gorda, Isla de la Juventud, Cienfuegos and Santiago de Cuba, as well as Port Antonio, Jamaica. Along the way, guests will explore the UNESCO World Heritage Site of Havana's old town, visit a salsa bar in Santiago de Cuba and raft on the Rio Grande. Fares start from EUR 4075 per person, double occupancy.